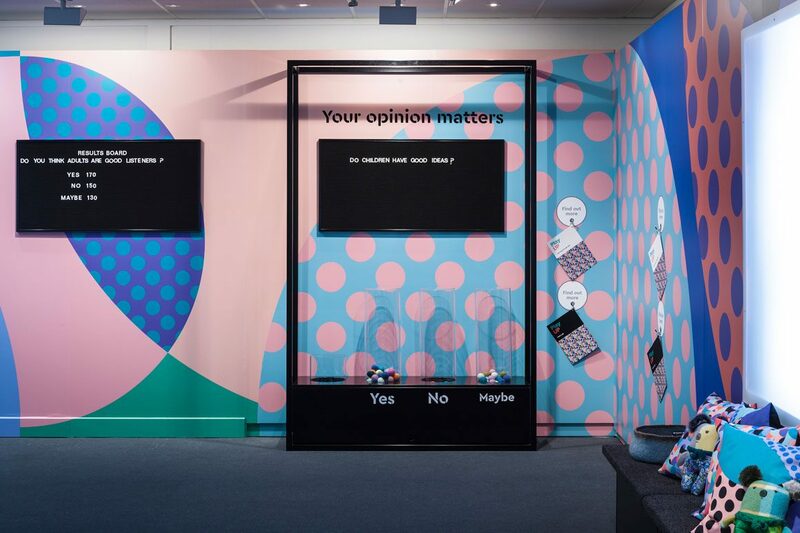 PlayUP — The Right to Have an Opinion and Be Heard is the latest incarnation of the Museum of Australian Democracy kid’s space. MOAD engaged Design Community to design four interactive exhibits to help children explore communication and find their voice. All four interactives needed to be stylish and contemporary, yet simple to use. We designed black and white powdercoated metal frames as a recurring motif. The frames help to define each activity, and are structurally self-supporting. 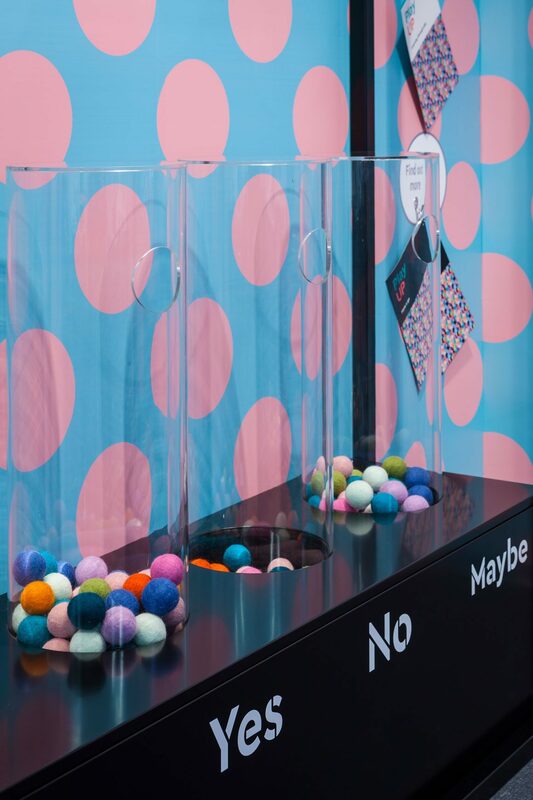 In the first interactive, kids cast their vote on a question by placing a coloured ball into a clear tube. The answer options are Yes, No and Maybe. The questions change regularly and staff tally and display previous results on the wall next to the stylish ballot box. Down the hall, even the smallest visitors have fun with the rotating puzzle interactive, which has three different solutions. 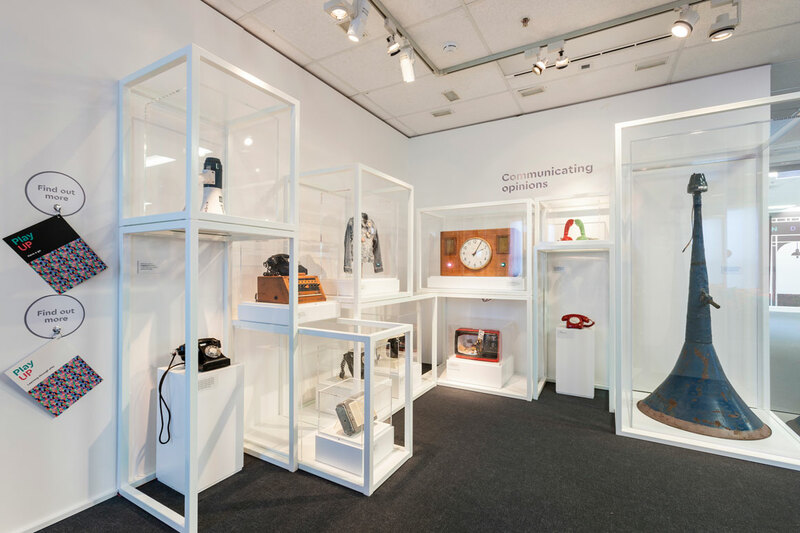 A mix of communication tools are on show in the striking object display. These artefacts are all part of the MOAD collection, used when the building was Parliament House. For the kids of today, they are relics of a previous time. 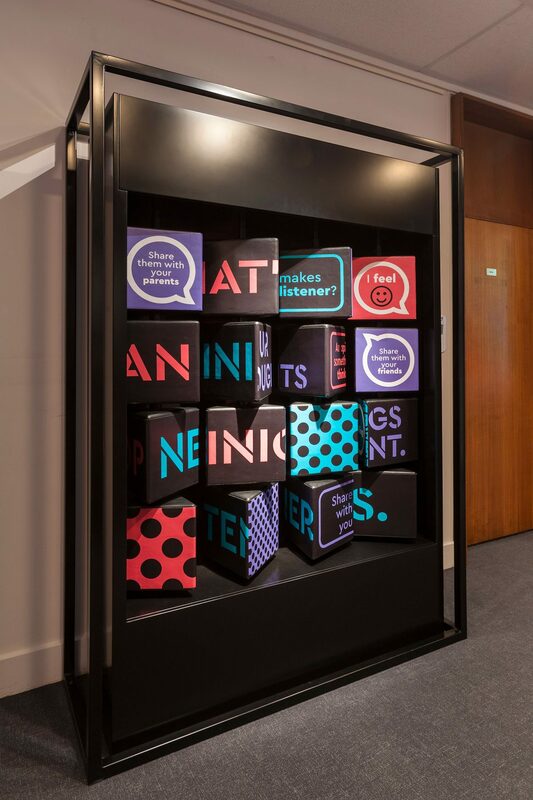 Televisions, phones, speakers and protest badges sit in sleek acrylic boxes within an organised jumble of open frames. Kids can see the objects from all sides. They can also step into one of the the two ‘phone boxes’ and speak to their friends across the way. 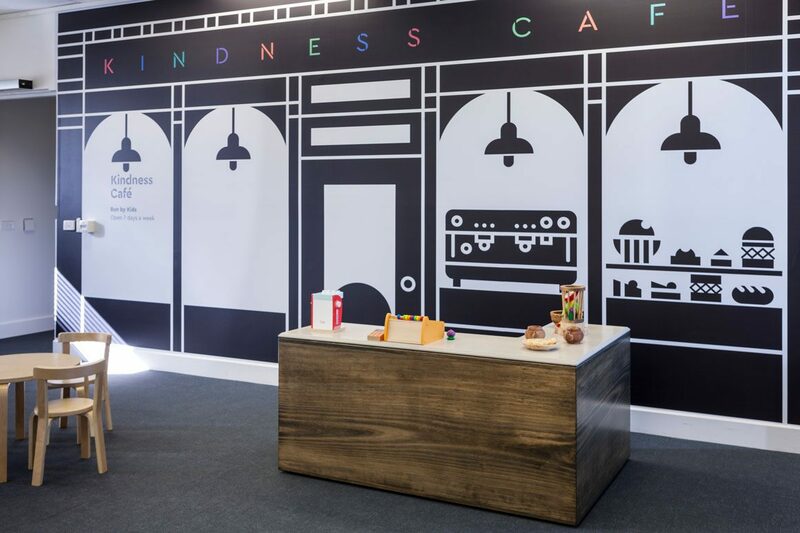 Once they’re all talked out, the children can be barista or customer in the Kindness cafe, where a stained plywood counter holds the day’s offerings. PlayUp is open daily at the Museum of Australian Democracy at OPH in Canberra. Go along, play, communicate and be inspired.